ALIS is a project based in Tokyo, Japan. 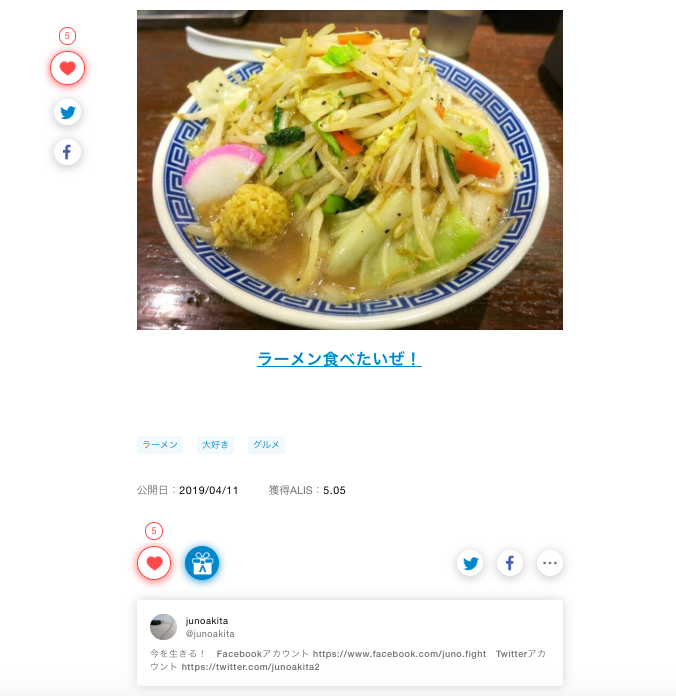 They held their ICO back in September 2017, raising over 13,000 Ether for what would become the first blockchain-based social media platform in Japan. Their platform is now in open beta and has, even though for now only focused on the Japanese market, over 5,000 registered users and 20,000 published articles in only 9 months. In Japan, quality information is very hard to find online. The reason for this is the result of profit-driven corporations and individual “professional bloggers” monopolizing the first page of Google search results. The information produced by these parties is often not of high quality and filled with ads and product placement. A good real-world example can be read in the article from The Japan Times — "When it comes to health info, online 'fake news' can have serious repercussions". On ALIS, instead of an easily manipulated search engine algorithm, the user decides what content deserves to be read. This content is produced on the ad-free ALIS platform by other users. And, the curators, as well as the content producers, are rewarded with the ALIS token. This makes the ALIS token an indicator of the trustworthiness of content and people. Because of the visualized trust, not only is the quality of content visible, the trustworthiness of users is also. This will eventually be used to build functionalities on the platform that facilitate the connection of people as well. In short: on ALIS, quality and trusts are visualized and the connection of people facilitated. ALIS regards usability as very important. When aiming for wide adoption, it is important to keep in mind the gross of the people still have no affinity with cryptocurrency or blockchain. A difficult to understand the token system and complicated looking UI only scares off the average person. For this reason, the ALIS economy works with only one token, does not make use of MetaMask yet, and all you need to register is a Japanese cell-phone number. In addition, the editor works very simple and articles divided into categories and searchable using tags as well. 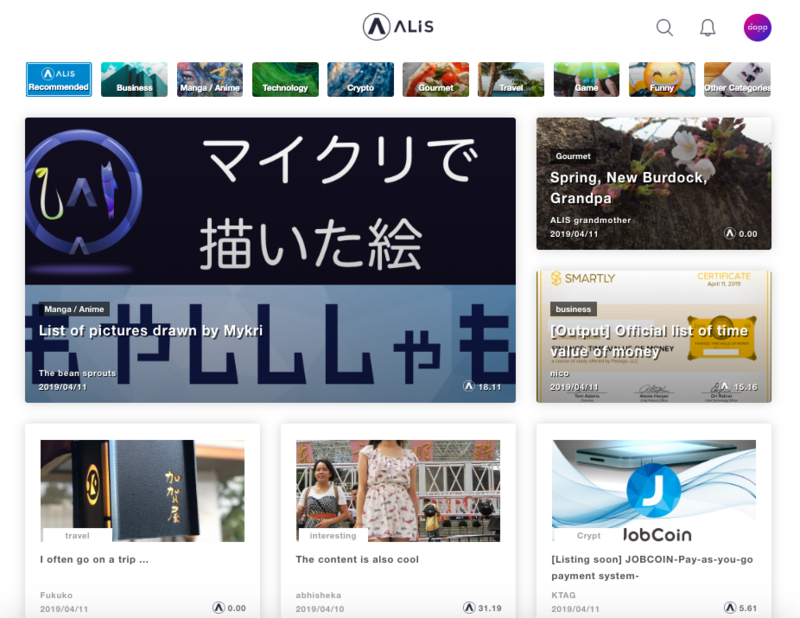 At this moment, apart from producing and curating content, it is possible to tip people with ALIS tokens and buy and sell content as well. However, new functionality is added at a really fast pace, and while keeping close contact with the strong community. 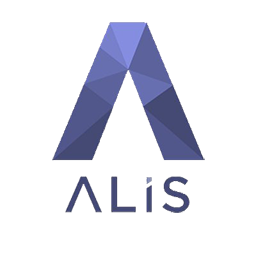 ALIS utilizes the Ethereum blockchain and aims to be as decentralized as possible while still maintaining a spot on UX. However, as a temporary solution to the scaling problem of Ethereum, the token distribution is built on an Ethereum based private chain using a PoA consensus algorithm. The backend of ALIS is completely serverless and the frontend is developed with Vue.js and Nuxt.js. If you'd like to know more about ALIS, please join the ALIS Reddit and Discord. Discover, create & enjoy decentralized technology with us. Currently there are no comments for this article. Would you like to be the first to write one?